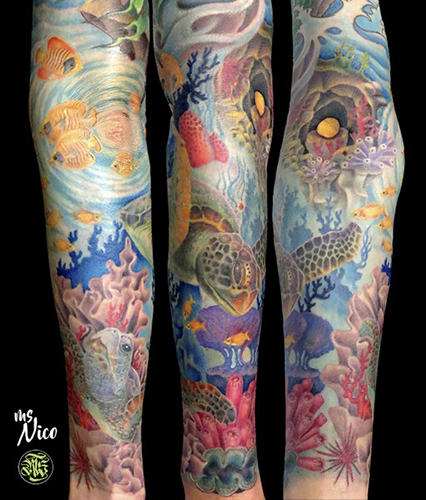 Incredible usage of the anatomy of the arm in this coralreef-fullsleeve. miss Nico simply puts a whirlpool on to the very difficult to tattoo elbow and a mysteriously glowing underwater cave into the crook ot the arm – simple as that. Send us your tattoo requests for Nico and co. Large projects are more than welcome too.